Headquarters of low energy and visual impact, which respects and protects natural site features. Following internal restructuring, the company needed to consolidate its Headquarters site in Lyndhurst. 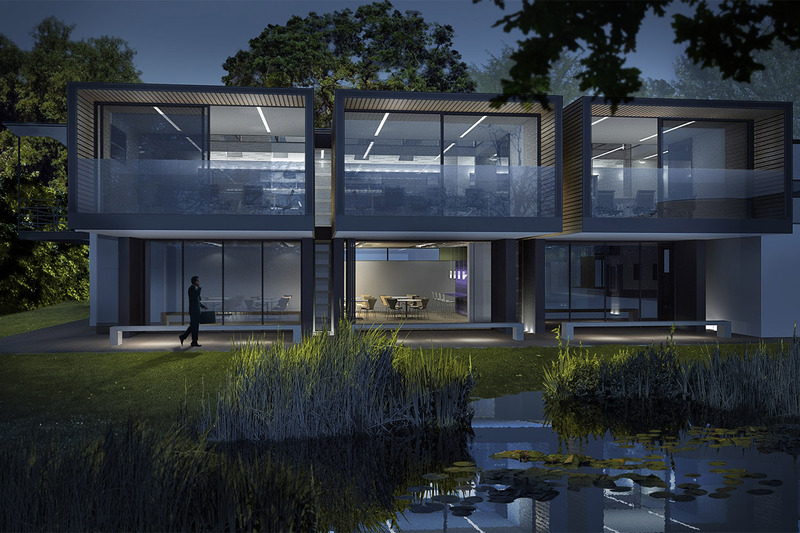 Whilst it is proposed that the extension will share the architectural vocabulary of the original office building (2001), it has a smaller footprint and will sit in a tree clearing currently occupied by an existing derelict house. 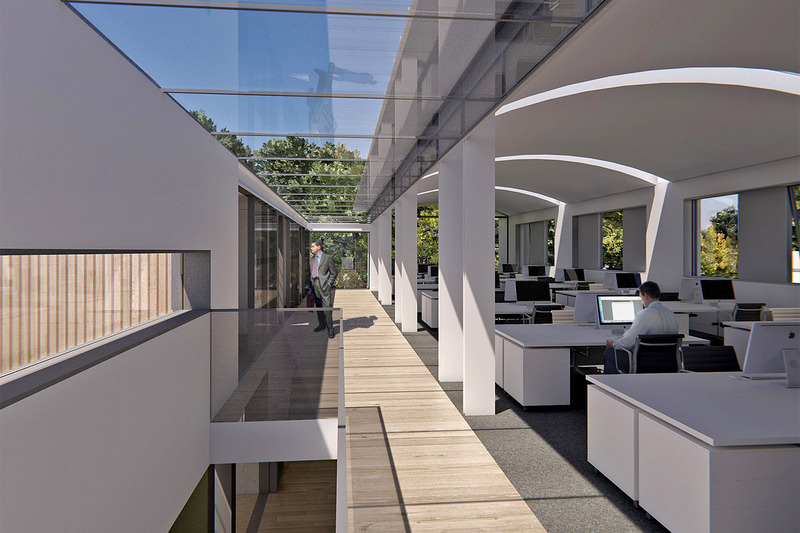 The architectural philosophy of the original headquarters building is embraced; that is for a building of low energy and low visual impact, which takes account of the existing site levels and which respects and protects natural site features such as watercourses and trees. The extension is accessed via the current entrance foyer, thus giving controlled access from reception. 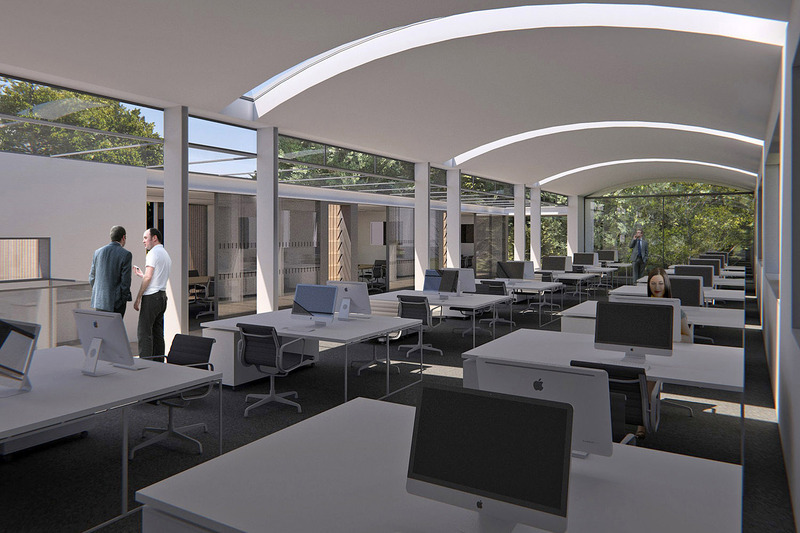 Staff can enter from the West, via a new core which provides toilet accommodation; located to ‘bookend’ the existing core and retain the small courtyard garden between. The new accommodation opens to the garden and pond, so that the new wing contributes to an L-shaped complex which contains the gardens in a more intimate manner. 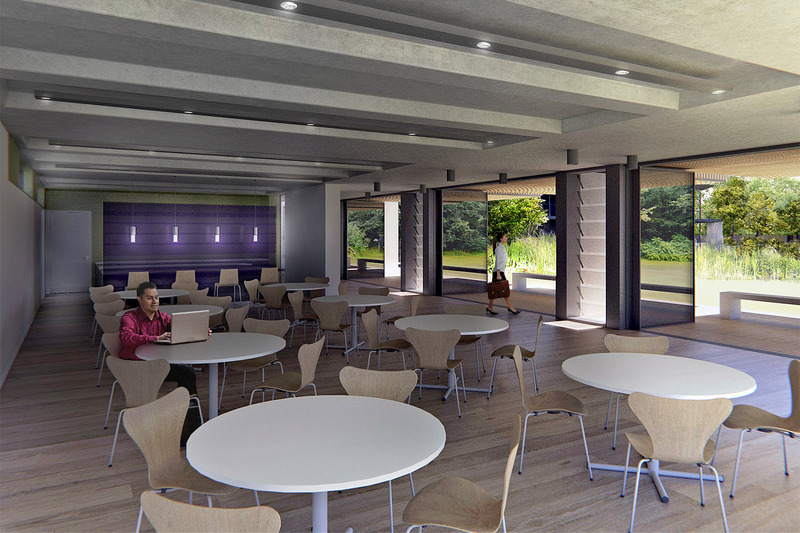 First floor meeting pods overhang the gardens and create covered spill-out space from the staff cafe below. 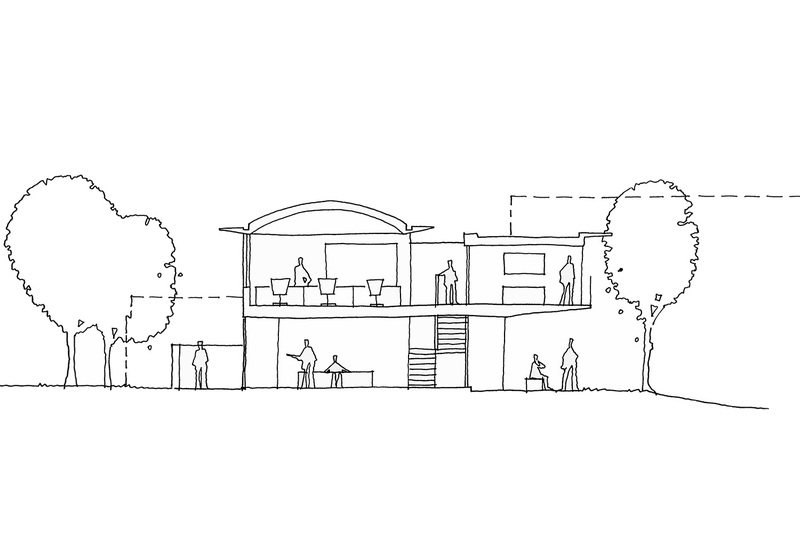 No related posts were found, so here's a consolation prize: Warsash Maritime Academy scheme submitted for planning.